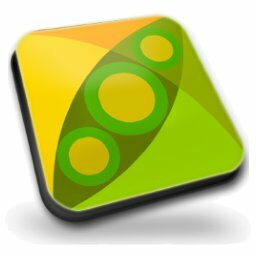 PeaZip Portable Free Download Latest Version For Windows OS (XP-7-8-10). Get the standalone offline installer setup file of PeaZip with a single, direct and secure download link. 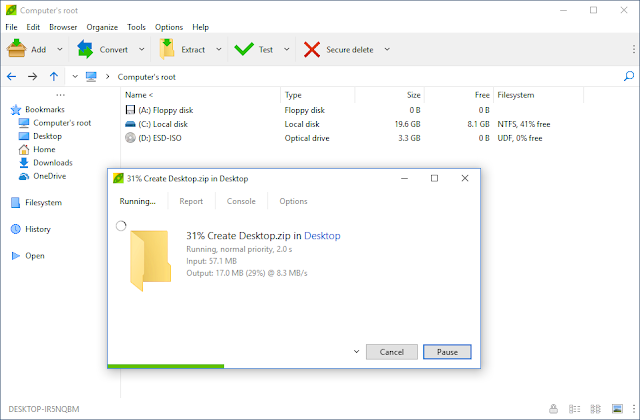 The downloaded setup file is compatible with both Windows 32 and 64-bit versions. 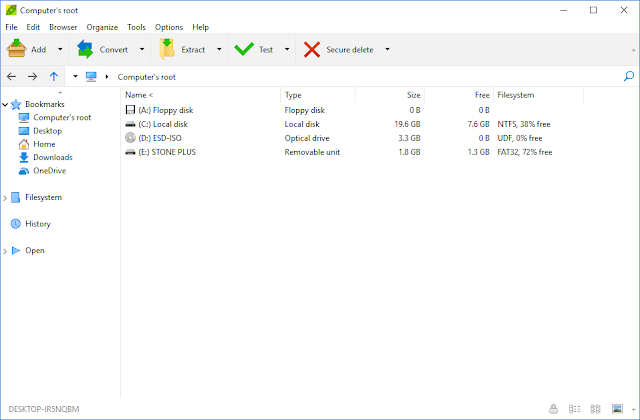 PiaZip is a powerful free file archiver utility tool that deals with compressed files. It opens and extracts more than 180+ archive formats, the portable version is easy to use and doesn't require installation on your computer, just extract and use the software! In addition to the convenience of compressing of an entire folder and save it as a single file, which can also be password protected so that it is not accessed by others, and it can be encrypted so that it can not be opened. 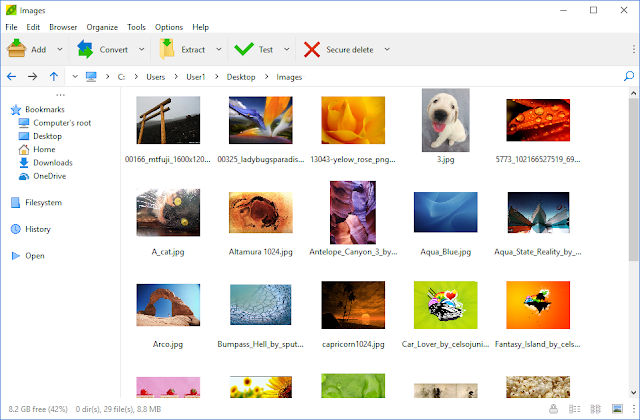 The program can unpack compressed files through other programs such as WinRAR or Zip or Z7 or ARC and others easily, and you can protect the compressed files by creating a strong password to prevent others from seeing what the files contain, you can browse compressed files without having to open them and you can also add or delete archive files with the ability to make sure that there are no errors in the compressed files. PeaZip file decompression tool uses advanced technologies to compress all files very easily, as well as decrypt files and determine the compression location path, whether in the same location or in another place on the computer, the program is easy to use and small in size and compatible with different versions of Windows. PeaZip now supports more than 150 formats of compressed files and also supports about 29 different languages in the program interface. You can choose your favorite language. PeaZip is a portable multiplatform tool used to compress files, split them, or check their integrity. The program supports a lot of file formats like 7Z, ZI , RAR, PEA, TAR, ZIPX, BZ2, GZ, ARC, PAQ, PEA, QUAD, UPX, ARJ, CAB, CHM, ISO, JAR, EAR, WAR, DMG, HFS, NSIS, plus formats used in Windows, Linux, and MAC. Support the encryption standards, such as the AES256 used by Winzip or 7-Zip. The PeaZip interface is easily customizable and does not need to be installed or uninstalled. PeaZip does not need installation and can be run from any device, even remote. It allows splitting a file into multiple parts, which can then be joined by the same software to generate the original file (split/join). Peazip works as a format converter, for example, it can convert from ZIP to RAR or vice versa. Although this operation could be done manually in 2 steps, this tool simplifies and optimizes this process, as well as making it faster. The program can be integrated into the Windows context menu, as well as the KDE or Gnome desktop environments, in case of using PeaZip under Linux. It is an excellent software, which is also free and multiplatform being an alternative to other products like Winzip or Winrar that are not freeware products. It uses the open technology provided by 7-Zip. Compress all file formats to reduce the space on hard disk and easy to send them via e-mail. Decompress the compressed files by other programs like 7Z, RAR, TAR and ZIP. Encrypt and protect compressed files with a strong password. It has a simple and easy to handle interface. Support compressed files in all formats. Software Name: PeaZip PortableFree Download. File Size: 9.88 & 10.62 MB. Click on the button below in order to download PeaZip Portable for PC. It's a complete offline installer and standalone setup for PeaZip. This file would be compatible with both 32 and 64-bit windows.